Its been a while coming...but I've grabbed an hour this Sunday to unload my poor camera of the weekly catalogue of historical trips it gets dragged on, and certainly one of the ongoing instalments bears grouping together and posting on what is a Knightly blog. 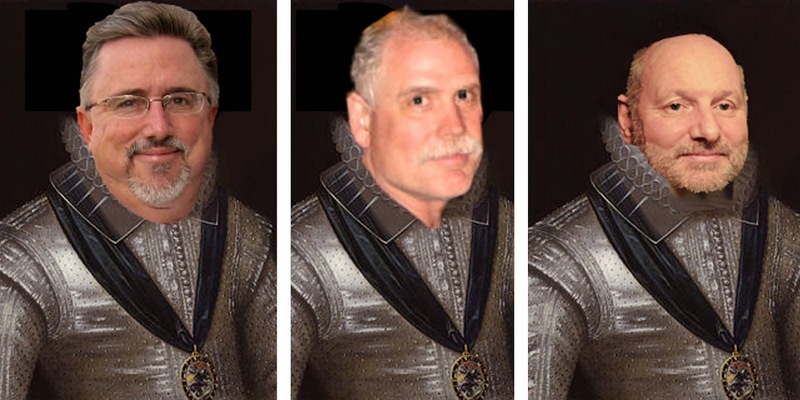 Its probably been mentioned before, but my involvement with the KMSA...arose when I bumped into Hook on one of my many scooches across the pond, and because he and Bowie were after an amourial for their idea of a Knights blog site...and that among the many projects I juggle daily is my in-depth study of 12th to 15th Century Illuminated manuscripts and replication of historical design...then, the heraldry crest for the KMSA was the result. 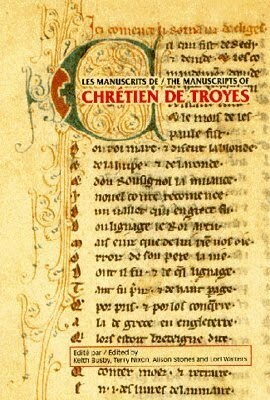 One of my pet projects of this era, is the little known life of Chretien de Troyes, a 12 Century french trouvere, a word troubadour, who in hindsight could be called the godfather of the eventual novel form, though this wasn't what he set out to do. Much of what De Troyes put down, was eventually incorporated into Sir Thomas Malory's " Morte D'Arthur" and the Knights of the Holy Grail, 300 years later, including Lancelot, Galahad, and Gwain the Green Knight, and indeed, uncomfortable as it may be to Brits ...much of the whole Gothic medieval culture, architecture and pageantry that is associated with our image, actually came North from the lowlands of France during that time. ..........I always look forward to continuing the regular field research trips to France that we embark on, as, much of the culture, attitudes and indeed buildings still survive in the Northern Cape. After another week there I can safely say its the land that time forgot, where you can at last bring alive much of what you study in the old documents. .................we headed north passed Lassey les Chateaux, a castle we have visited many times, (and appears in the picture with me in, at the foot of every months KMSA blog) and we stopped and took a shot of it, bathing in the hot sun by its lake (see pic at top of this blog). ...showing that castles that gradually got left outside a growing community withered over the long centuries, and got left silent to the crows and rabbits and became a source of stone. Many tough miles north, is the medieval hillside town of Domfront, high on its limestone crags in Basse-Normand. This is deep rural France, on an ancient route between Paris and Brittany, where everyone speaks just French, even though they might know some English. 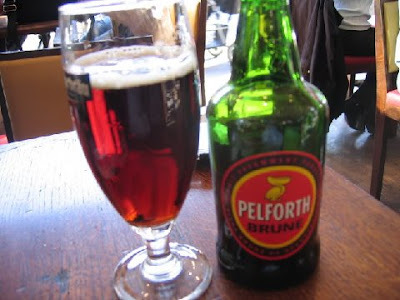 .............this one, being one of them there dark Lagers called Pelforth Brune, which had a heck of a kick, which we were to revisit later that evening. After checking out the cool of the archive library, we made our way along the tiny streets, beneath the sound of bells of the new church, and found, in an original medieval house-shop, what was to me the find of the trip, that of an Artelier (craftsman) called Michael Vyse, who sat contentedly in his shop painting and carving from wood, in real time, the most fabulous illuminated paintings and relief carvings, that I have ever had the pleasure of seeing. Even his door "Open" sign was a handpainted masterpiece. We talked to him for a couple of hours and he showed us his studios and all his works, and I picked out one mildly expensive piece he is going to finish for me over the next few months and I will pick up, on another visit. After a good nights rest under oak beamed ceilings, we headed West, with new fresh legs, to take in one revamped medievel castle and two beautiful churches in this heavily Catholic country, at Passais and at Pontmain. 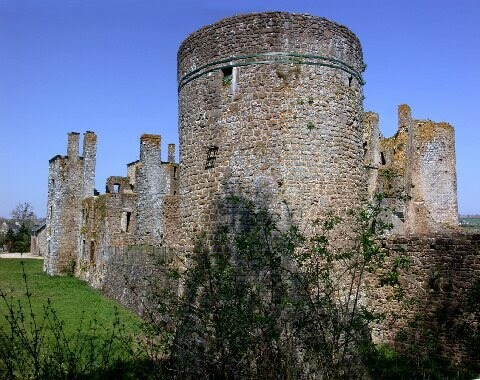 The castle was even more lost in France than we were before, set as it was a couple of miles off even the nearest beaten track. The standard broad turrets of Manoir de la Saucerie had had a 16th Century makeover to them, that even Baron Munchausen would be proud of, and while in typical French style it was completely deserted, all around was evidence that workmen were making new the roof tiles, so that the interior can be brought back to life, i'd say sometime in the next four hundred years. ................ is like being immersed in an underwater kalidascope of fragmented blurred color, the like of which stays with you forever. And so like the Knights in search of the Grail...the research and the travels continue, fortified by passion, beer, food and love, we sit on the stern of the cross channel ferry watching our wake, until our return. An excellent travel blog for sure! That part of France is like walking back in time. I spent about 3 weeks the summer of 1979 back packing through that area. I've actually been to the Chateaux des Bois Thibault. As you all too well know, the English desperately wanted to have the wealth and culture of France during the 11th and 12th centuries, thus all the wars. I would compare the culture switch you mentioned in medieval England as a result to that of the Americanization of Japan in the 20th century. Anyway, I'm glad to be an English pig dog shooting a few long bows up the Froggies Arse! The nice thing of living where you do is the ability to hop into a completely different culture in less time than it takes me to drive to St. Louis! I just have to get my medieval fix through your adventures for now...but I did make a note to travel across the Channel next time we come to visit. Love the work by Michael Vyse! And ditto on the cathedrals in France! 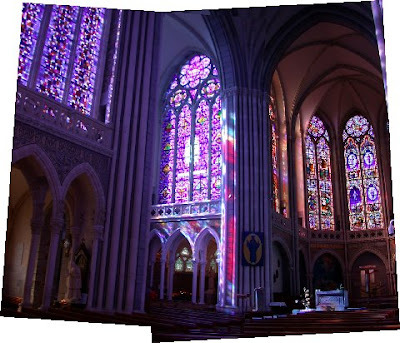 I was a Protestant when I went to France and it set the stage for my becoming Catholic after meeting Aileen. Very moving places! Love the wake pic! We'll be doing that soon on our 25th anniversary cruise! Nothing better than traveling fortified by passion, beer, food and love! Domfront and Chateaux Lassey are way more prominent for visitors and have to be gone thru to reach that ruin. Yes, I've been to your famous photo castle too! I was on a mission to back pack on my spare time back then and find all these beautiful places. One of the best was hiking up a woods filled mountain in the Black Forest outside of Baden Baden Germany and finding an abandoned castle at Yborg...where I unpacked some cheese and a bottle of wine and surveyed the country side till sunset, and then ran down the path to my B&B! they are hard to find even for the locals... you have to arrive at a really unusual port and go there for a reason...as there is no direct route to anywhere in particular on that south road. Why didn't you say you had been to that castle before when i sent you the original picture. Sometimes your appropriating of peoples adventures is plain annoying. and frankily i'm giving bup sharing them any more. Wow, brother! I'll give you I can be annoying, but in no way am I trying to appropriate your adventure. As I stated in my first comment, well done! Just brought back memories I haven't really thought of for 30 some years while formating your post for the blog. My memory may be a bit foggy, but I did visit many sites in Brittany, Normandy, and the Loire Valley while Interning at Radio France in Paris. I too share your interest in medieval history, being my minor in college. 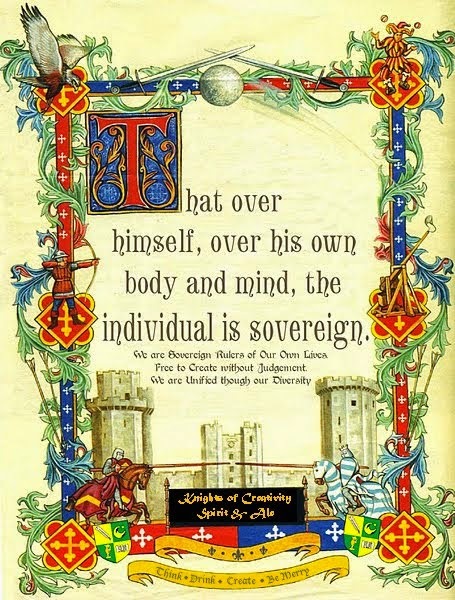 That's one of the reasons we have Knights as the beggining of our name. Simply put, it would be a huge loss for you to quit sharing over this. Boys, boys. Let's all play nice. The only way to settle all this is to fly me over there and have me travel along. Not that that would settle anything, but I would enjoy the hell out of it. I love the colors in Artelier, Michael Vyse's work. And the Bar au Normand -- gives new meaning to "when you get to a fork in the road, take it." In this case, "When you get to the fork in the road, stop and have a beer." I AGREE! Or as they say in Parlliment..."Here, Here"!